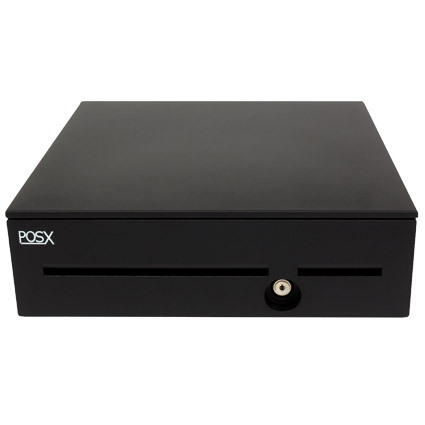 The POS-X EVO Heavy Duty cash drawer offers the long lasting durability you need in high- volume and high-stakes retail & restaurant environments. The EVO Heavy Duty´s sturdy design and terrific warranty makes it a great fit for grocers, high volume department stores, or even bars. Compatible with major receipt printers from POS-X, Epson, Citizen, Star, Ithaca, and more, the EVO Heavy Duty can be installed at most locations with ease. The 16 x 16-inch design saves space while maximizing cash storage, fantastic for businesses needing room for impulse items or under counter consumables. POS-X built the EVO Heavy Duty to handle the abuse and misuse that takes down lesser drawers. The thick gauge cold rolled steel case holds up to bumps and collisions with ease, and the powder coat finish gives you additional scratch resistance. The drawer rests on a ball bearing system, with 30 bearings to a side, promoting smooth operation for the life of the drawer. Shipping with a 5-year warranty with two-day exchange service, the POS-X EVO Heavy Duty cash drawer will give you many years of fantastic service. <b>This model had reached end of life, and has been replaced by <a href="https://posmicro.com/pro/2292/pos-x/evo-pro">EVO Pro</a></b><br><br> The POS-X EVO Heavy Duty cash drawer offers the long lasting durability you need in high- volume and high-stakes retail & restaurant environments. The EVO Heavy Duty´s sturdy design and terrific warranty makes it a great fit for grocers, high volume department stores, or even bars. Compatible with major receipt printers from POS-X, Epson, Citizen, Star, Ithaca, and more, the EVO Heavy Duty can be installed at most locations with ease. 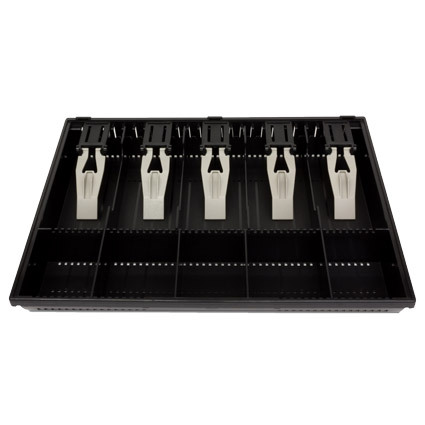 The 16 x 16-inch design saves space while maximizing cash storage, fantastic for businesses needing room for impulse items or under counter consumables.